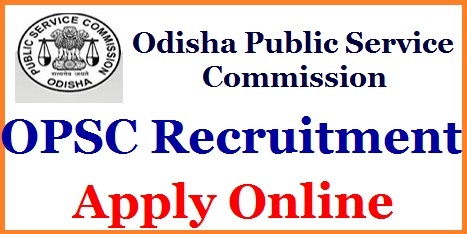 OPSC Medical Officer Recruitment 2019 Notification is out from the main organization of Odisha Public Service Commission For the 150+ 1950 Posts of Homeopathic & Assistant Surgeon Medical Officer Jobs, can apply from 14th December 2018 to 14th January 2019 & 1950 Assistant Surgeon posts will be on from 10th Jan 2019 to 31st Jan 2019 & the Application payment will be on 04th Feb 2019 online at opsconline.gov.in. Read the entire OPSC Medical Officer Notification to know the complete information now. The State Govt of Odisha now again had released a new OPSC Medical Officer Notification 2019 opportunity to the job seekers in Odisha State location. The one of the best organization in Odisha Public Sector name called as Odisha Public Service Commission released new Odisha Homeopathic Medical Officer Recruitment for the 150+1950 Posts and informed all the details below which is to be reviewed by the candidate to know their eligibility. IT helps for those who are looking for the Government Jobs, this OPSC Medical Officer Recruitment one is the best recruitment to apply. Check out the online registration dates at here. The Odisha Public Service Commission is one of the best public sector organization among in all Odisha State Govt boards. The OPSC is standing for Odisha Public Service Commission, everyone likes to term it as OPSC in shortly. New OPSC Jobs offers OPSC MO 2019 Notification came out from the officials of OPSC on 07.12.2018 and the Applications Forms is being accepted from the Eligible contenders through opsconline.gov.in during 14.12.2018 to 14.01.2019 in Online Only for Homeopathic posts. Coming to 1950 Posts the OPSC Assistant Surgeon MO posts there is the time limit from 11th Jan 2019 to 31 Jan 2019 & the payment will be on or before 04th Feb 2019. We only request to the all willing ones have to enrol your names within the last dates of registration. You can also Find the Syllabus & Model Papers for the Preparation. The applicants must possess A Bachelor’s Degree in Homoeopathic Medicine and Surgery (BHMS)/ Equivalent degree from a recognised University by Central Council of Homoeopathy & must have a registration under the Odisha State Board of Homoeopathic Medicines. The age relaxation is must be like as per the given rules and conditions of OPSC Medical OfficerRecruitment 2018-19. Candidates will get the salaries as per the announcement of Odisha Public Service Commission Homeopathic Medical Officer Notification 2018-19. The Award package is Rs.9,300/- to Rs.34,800/- and Grade Pay Of Rs.4,600/-. Every candidate has to pay the Non-Refundable Online Application For the OPSC Homeopathic MO Recruitment as per norms. According to the OPSC Medical Officer Recruitment Notification 2019, the OPSC Board is going to hire the 150 + 1950 Posts of Homeopathic Medical Officer & Assistant Surgeon Jobs with the Eligible candidates who have the homoeopathic qualification. Along with the Qualifications, the candidate must have the Age Limits during 21 to 32 Years and then only the candidates can Apply For OPSC Medical Officer Online by following the steps above on or before 14.01.2019 for 150Posts & 1950 have the deadline for applying this OPSC MO Assistant Surgeon Posts will be on 31st Jan 2019 and coming to the hiring rounds of OPSC Medical Officer Assistant Surgeon vacancy are like written test and interview. So, the applied candidates need to start the exam preparation as well as interview preparation. Search for announced notice on OPSC Homeopathic Medical Officer Recruitment Notification 2018-19. If eligible open the Odisha Homeopathic MO Application Form. Fill the Details, Pay the Fee, Click on submit button in order to make submit the application. Take a hard copy of the OPSC Medical Officer Recruitment Application For Further usage.